The Nature Conservancy of Canada and its partners have secured 1284 acres of South Okanagan grassland. Sagebrush Slopes and Sparrow Grasslands are two distinct properties situated in the Kilpoola/Chopaka areas near the Canada-US border. Sagebrush Slopes is named for the fragrant bush that dominates the property. Pockets of trembling aspen woodlands provide habitat for mule deer, ruffed grouse, magpies and a variety of cavity-nesting creatures. Sparrow Grasslands is notable for the abundance of bird species – including at least seven species of sparrow – that frequent the area. The rolling hills of the property are covered in grasses and wildflowers, offering a significant contrast to Sagebrush Slopes. 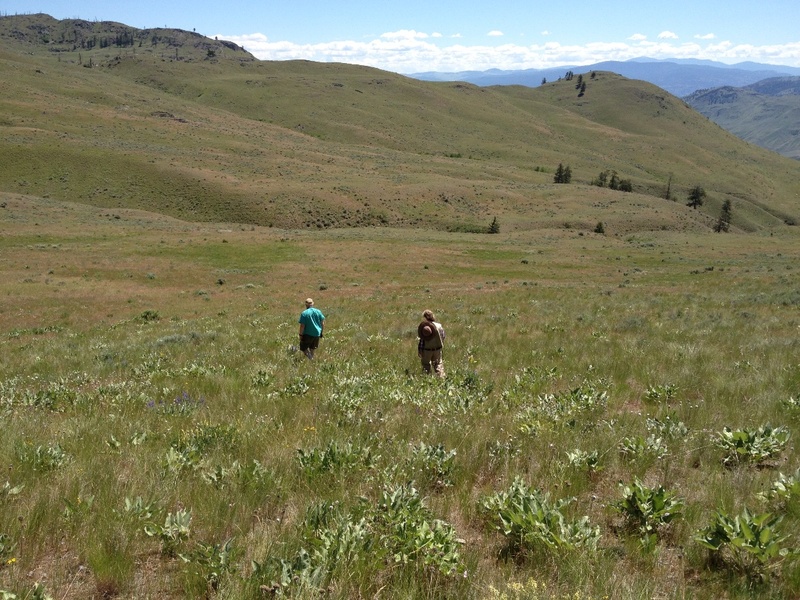 Both properties share a significant portion of their borders with the South Okanagan Grasslands Protected Area, forming an integral habitat link between protected areas that allow for the movement of species between the Similkameen and Okanagan Valleys. “We are extremely happy that the land we call Horse Pasture will remain in open grasslands, undeveloped for future generations to enjoy as we have in the past,” said Clarence and Sharon Schneider, former owners of the land now called Sparrow Grasslands.